Once a upon a time, a king and queen found that they were expecting a child. Unfortunately, the queen grew very ill during her pregnancy, leaving the life of her unborn child and herself in the balance. Desperate, a servant ventures to steal a magical healing plant from the garden of an evil witch named Gothel who used it to frequently rejeuvenate herself in order to avoid death. This restored the queen to her former health and gives the baby princess, Rapunzel, healing powers. 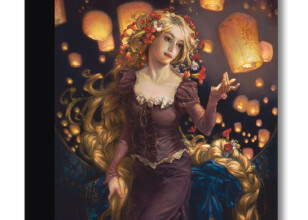 Gothel discovers that Rapunzel's hair has the flower's healing properties but that attempting to take just the hair by cutting it destroys its power, so she kidnaps Rapunzel and raises her as her own daughter in an isolated towerAs revenge for having her plant stolen, and still coveting its power, Gothel kidnaps Rapunzel to retake the youth-restoring power for herself. 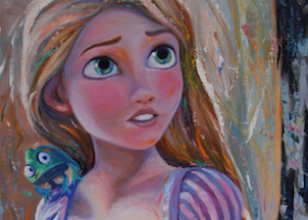 Rapunzel grows up locked in a tower, with only the nasty Mother Gothel for company. The witch constantly puts her down and forbids her from ever leaving the tower. 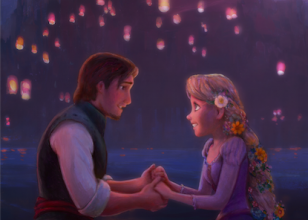 Every year on Rapunzel's birthday, the kingdom has a festival of lights in remembrance of their lost princess. 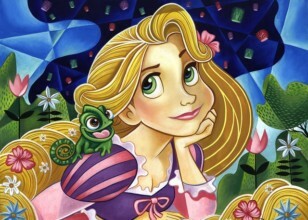 Rapunzel sees the lights from her window and longs to visit the kingdom. 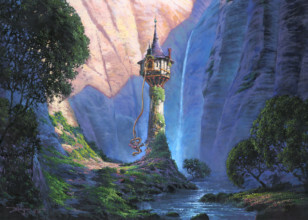 One day, a thief named Flynn Rider breaks into her tower. Rapunzel takes his satchel containing the stolen crown jewels. 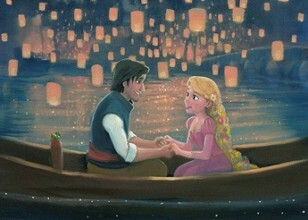 She promises to return it if he will help her out of the tower and take her to the light festival, and Flynn agrees. 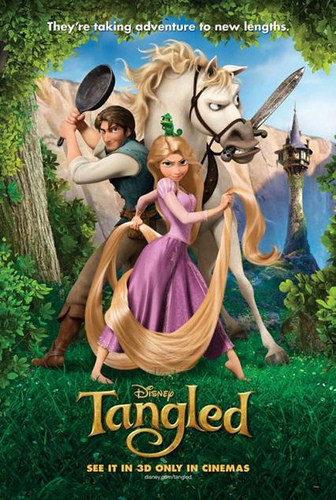 They escape along with Rapunzel's pet chameleon Pascal, and Maximus, a horse who takes it upon himself to capture Flynn and return him to the royal guards. 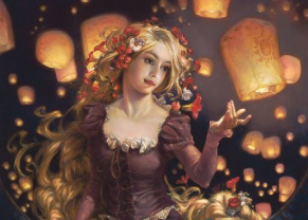 Together with a band of colorful brigands, Rapunzel and Flynn must avoid the guards and a vengeful Mother Gothel to reach the kingdom in time for the festival.